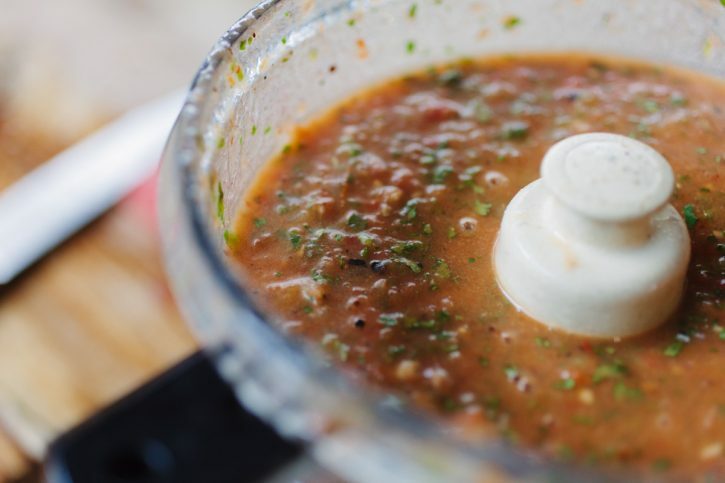 Homemade salsa is pretty much always better than store bought. 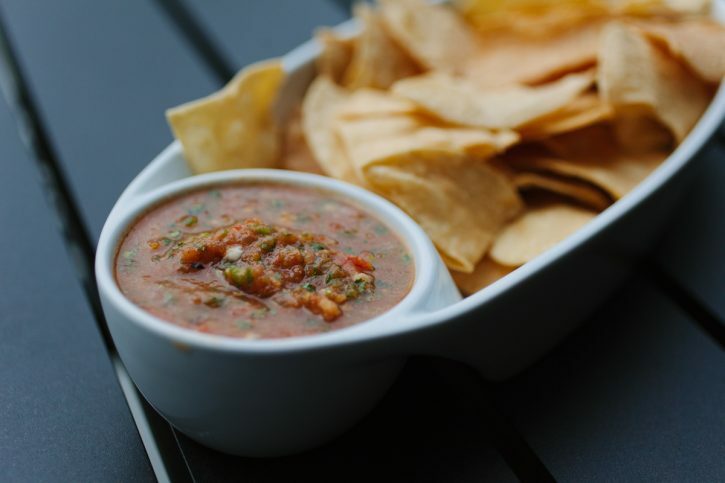 That’s no secret, but grilled, homemade, fire roasted salsa… NEXT. LEVEL. 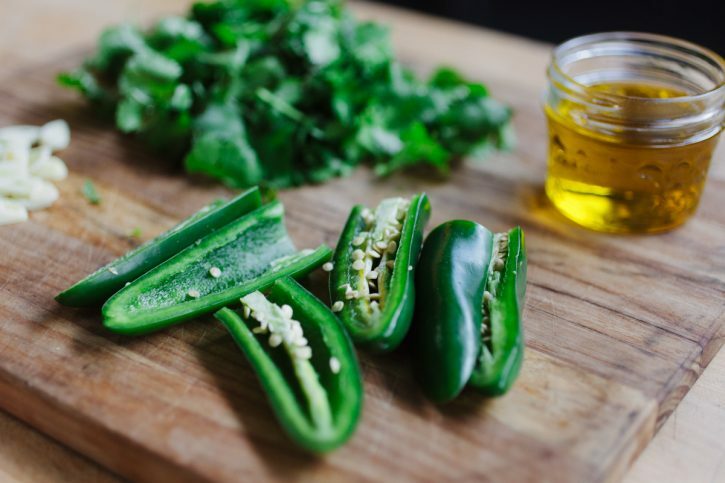 The caramelization that happens on the grill adds a whole new depth of flavor to the salsa. One or two jalapeños? Seeds removed or not? How hot do you like it? Once the veggies come off the grill, it’s everyone in the pool! Super easy, and the only decision you have left to make is what sort of consistency you like. Whether you like it chunky or smooth, you can count on the flavor being spot on! Preheat your Yoder Smokers YS640 pellet grill to 450ºF, set up for direct grilling, with GrillGrates. Grill 6 of the tomatoes, whole, until the skins are blackened. 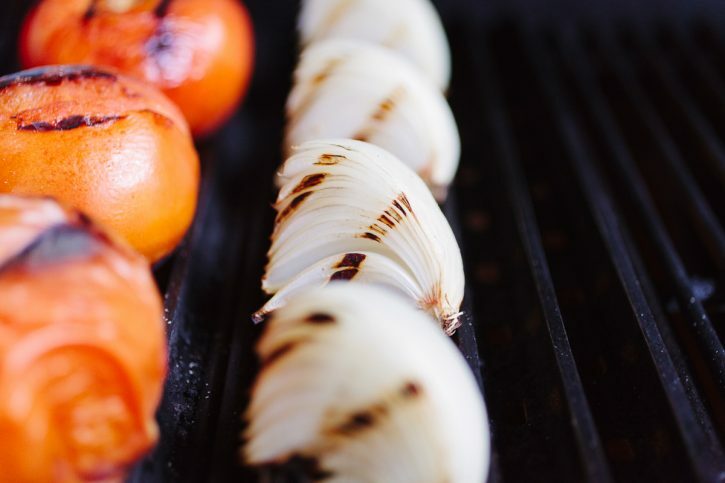 Also grill the onion quarters to achieve nice grill marks. Remove from the grill. Dice the remaining two tomatoes, and the grilled onion quarters. 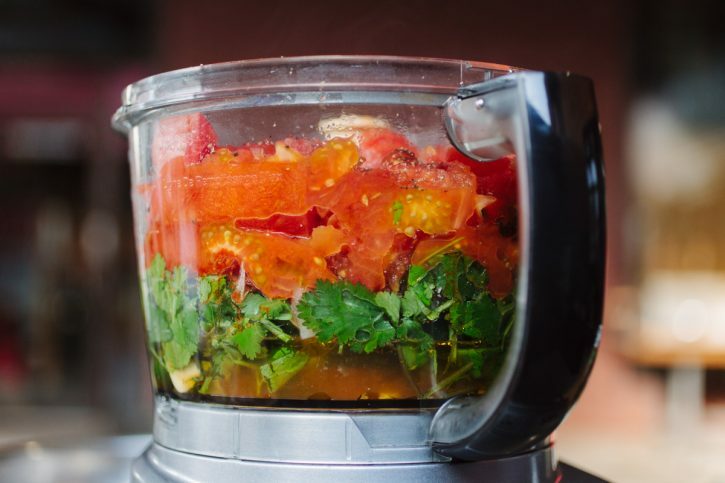 Add all ingredients to a food processor and process until your reach the desired consistency. Taste and adjust seasoning, as necessary.